Our Hot Foil Stamping Machine for Plane & Rounded Surface Products TC-250K is fit for stamping on the products which the surface is plane and round.With fast speed and low energy consumption, you can save production costs and labor. Mainly applied to the field of craft,fabric handbag,leather,paper and plastic. 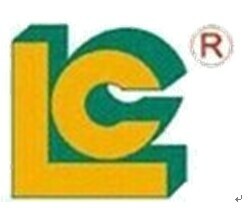 Luen Cheong Printing Equipment Group Limited has manufactured LC brand color printing machines for more than 25 years, including various Pad Printer, silk Screen Printer, hot foil stamping machine, UV Curing Machines and Cliche Making Machine and pre-post Printing Machine.We have passed ISO-9001-2000 certification in 2001 and are a member of SGIA and all of our industrial printers have EURO'S CE standard. With great effort and constantly exploration, now we can supply 200 various industrial printers per month. Our printing machines have been exported to more than 65 countries around the world and we also dispatch some printing engineers to give our customers technical support overseas. Our clients are satisfied with our products. Looking for ideal Hot Foil Stamping Machine Manufacturer & supplier ? We have a wide selection at great prices to help you get creative. All the Plastic Hot Tampo Machine are quality guaranteed. We are China Origin Factory of Hot Stamping Machine for Leather. If you have any question, please feel free to contact us.